As many can’t always make it to Thurs farmers market a box scheme is a welcome initiative as well as an opportunity to support our local growers/farmers. · Each week a box of seasonal vegetables is delivered to your door. · Organic seasonal vegetables, grown in Dunmore, Co. Kilkenny. · Organic free range eggs. · Boxes are available in €15, €20 and €25. 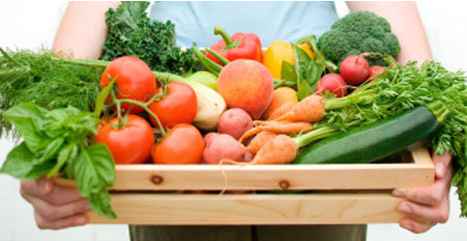 · That while signed up to the scheme you will commit to a box of vegetables a week. · Each week the vegetables will be delivered to your door and you will be expected to pay each week at time of delivery or monthly in advance. · We expect people to be going on holidays! · We ask for a minimum of 24 hours notice in advance. I AM KEEN BUT A LITTLE UNSURE WHAT DO I DO? · Contact Sinead with any questions you have. WHAT IF I WANT TO STOP GETTING THE BOXES? Delivery available Monday or Thursday.